New Mocha planar tracking plug-­in delivers GPU acceleration and streamlined workflows to OFX hosts including The Foundry’s NUKE and Blackmagic Design’s Fusion. 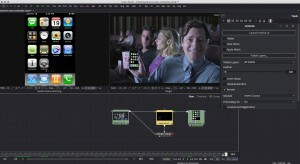 Boris FX & Imagineer Systems announce Mocha Pro 5 plug-­in for OFX. Mocha Pro’s highly regarded visual effects software has been used on countless high profile film and television projects including Game of Thrones, Star Wars: Episode IV and The Walking Dead. 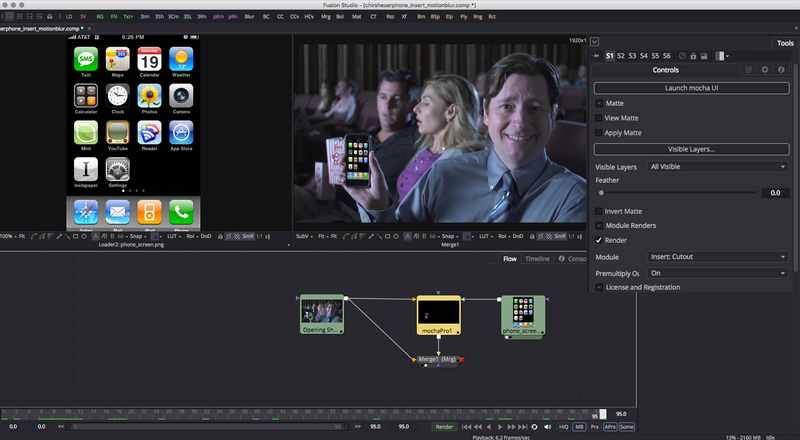 The new OFX plug-­in capability now gives artists running The Foundry’s Nuke and Blackmagic Design’s Fusion Studio the added capability to launch Mocha Pro directly from the host application for an efficient visual effects workflow. Mocha Pro 5 plug-­in for OFX is available on Windows, OS X and Linux operating systems. “Compositors are loving the improvements found in the new Mocha Pro plug­-in,” says Ross Shain, CMO of Boris FX and Imagineer Systems. 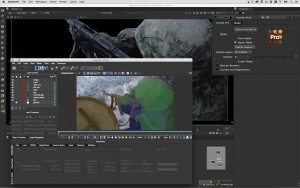 “We’ve updated the planar tracking algorithm to take advantage of OpenCL video processing and speed increases on high resolution projects are tremendous.” Shain continues, “While Mocha has played a role in VFX projects for years, the ability to now launch directly as an OFX host plug-­in helps artists quickly access tools for advanced tracking, roto, object removal and image stabilization without the added hassle of managing multiple applications and projects. Jumping back and forth between Mocha and Nuke or Fusion has never been easier.” Imagineer’s partners and customers are also appreciating the new OFX plug-­in. NUKE project, streamlining the Mocha and NUKE workflow. Open CL GPU tracking performance: Mocha planar tracking has been updated to take advantage of supported video card hardware for significantly faster motion tracking on high resolution sources. Improved online licensing mechanism allows users to easily activate/deactivate a license and run Mocha Pro on their computer of choice. Improvements & bug fixes: including improved layouts, faster project saving, and much more. About Imagineer Systems: UK-based Imagineer Systems is the Academy Award-­winning developer of Mocha: Planar Tracking based visual effects solutions for film and video post production. Imagineer has made its mark on major feature films including: Star Wars: Episode VII, The Hobbit, and the Harry Potter series. In 2015, Imagineer Systems was acquired by Boris FX, a leading developer of effects, titling, and workflow plug-­ins for broadcast, post­-production, and film professionals. Together the newly merged Boris FX / Imagineer Systems company group services millions of editing and visual effects professionals worldwide. All trademarks used herein, whether recognized or not, are the properties of their respective companies.